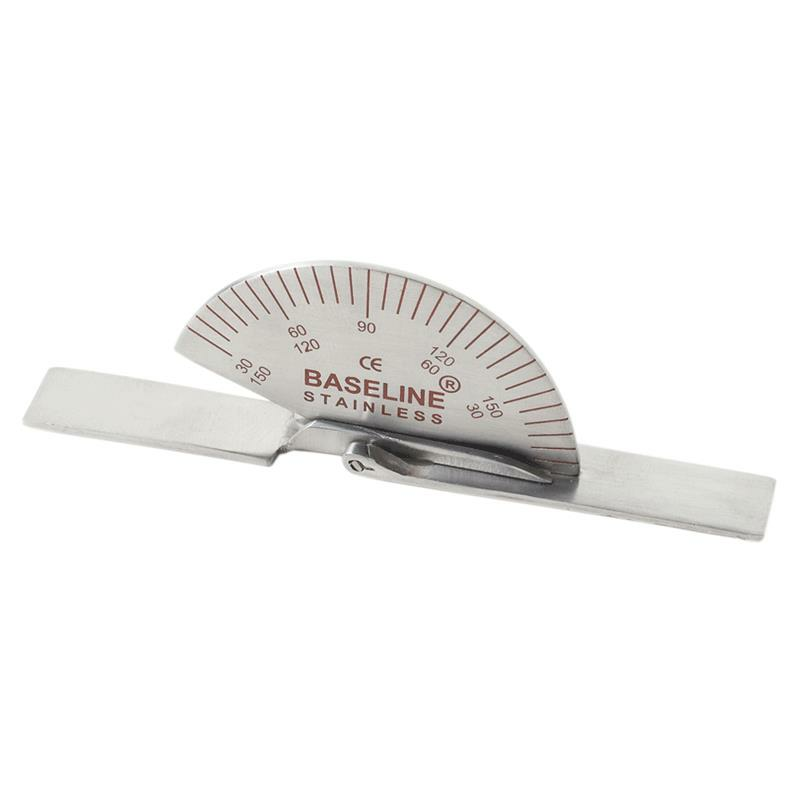 Baseline Stainless Steel Finger Goniometer is an instrument that either measures angle or allows an object to be rotated to angular position. 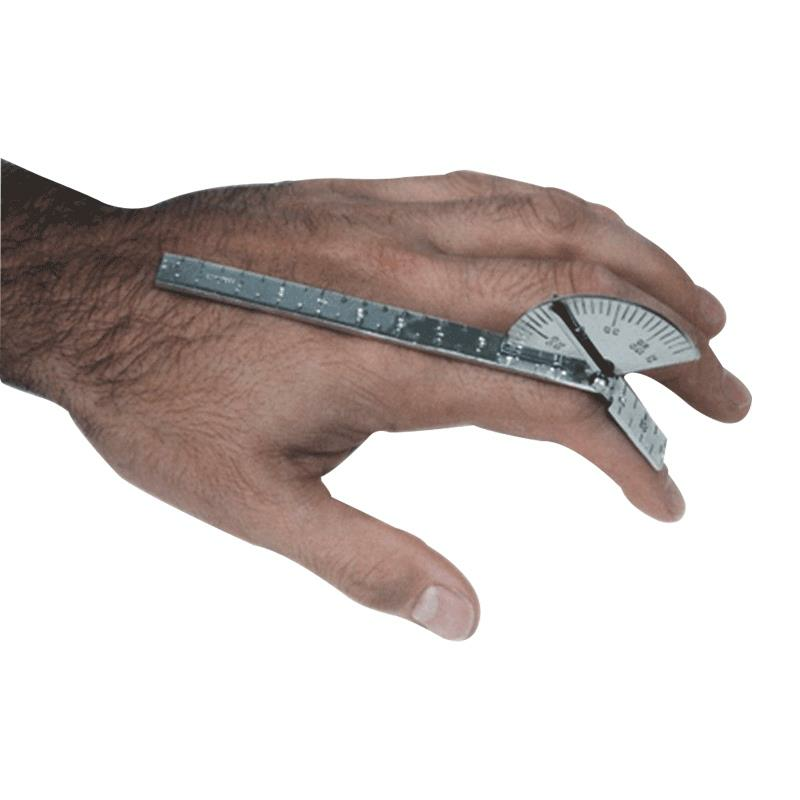 A finger goniometer measures range-of-motion (ROM) of finger joints (metacarpophalangeal and interphalangeal) and other small joints including toes. Standard 6” stainless steel finger goniometer has a head with opposing 180° to 30° scales in 5° increments. The Linear scale on arm measures in inches and centimeters.